Some time ago, the Rogue Brewery – one of my favorite brewery’s of all time – began producing a special series that takes the term “locally sourced” to new heights. And after many months, I finally managed to secure a third sample from their growing Grow Your Own (GYO) series! 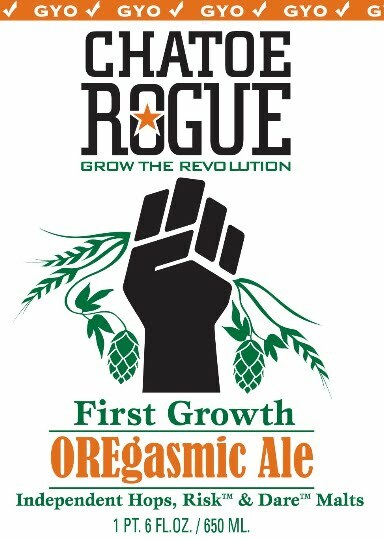 Known as the OREgasmic Ale, this pale ale is made using strictly local ingredients, which include Rogue Farms Dare and Risk malts and Rogue Hopyard Revolution hops. And much like their Dirtoire Black Lager and Roguenbier Rye Ale, this beer was rich and complex in flavor and tasted like it was from the earth. 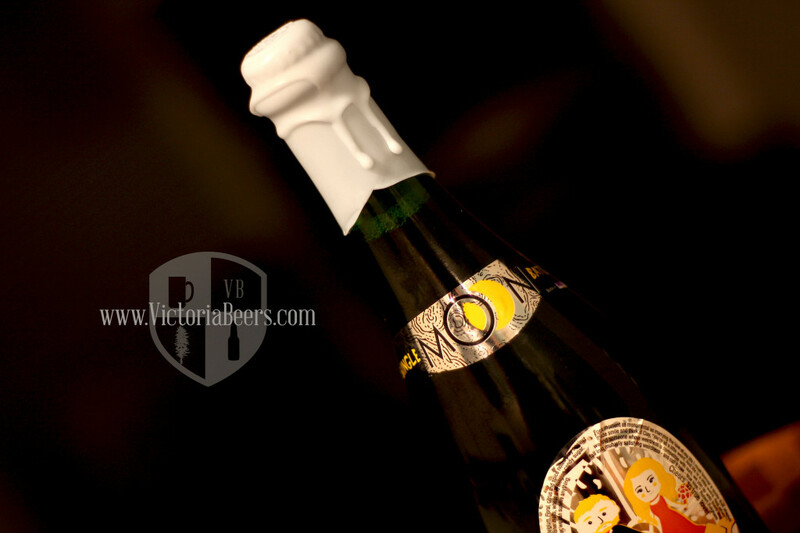 It pours a dark amber, is slightly cloudy, and has a thick, foamy head and good carbonation. The taste is reminiscent of an amber ale, with syrupy, slightly sweet malts with discernible baked bread flavor; but with some additional strong, earthy hop notes that are at once piney and citrusy in flavor. Well, that makes three beers out of the total eight in the GYO lineup that I’ve tried so far. It’s an unfortunate and wonderful thing when a craft brewing operation explodes and begins producing a seemingly endless stream of brews, with multiple series, and a ton of limited releases. But it does make for plenty of surprises and new experiences! New Belgium Brewing has been on my radar ever since my brother-in-law introduced me to their Fat Tire Amber Ale. Years later, I find myself struggling to get my hands on the many, many beers in both their regular lineup and their seasonal releases. Lucky for me, their Le Terroir just happened to be available in my locality, and just in time for my birthday beer collection! And since I’m becoming such a fan of sours, it seemed like the perfect thing to mark the occasion! The term Terroir means “of the territory”, a French term that is often used to describe wines by region. However, this term is just as applicable to beer, seeing as how Belgium is so renowned for regional styles. 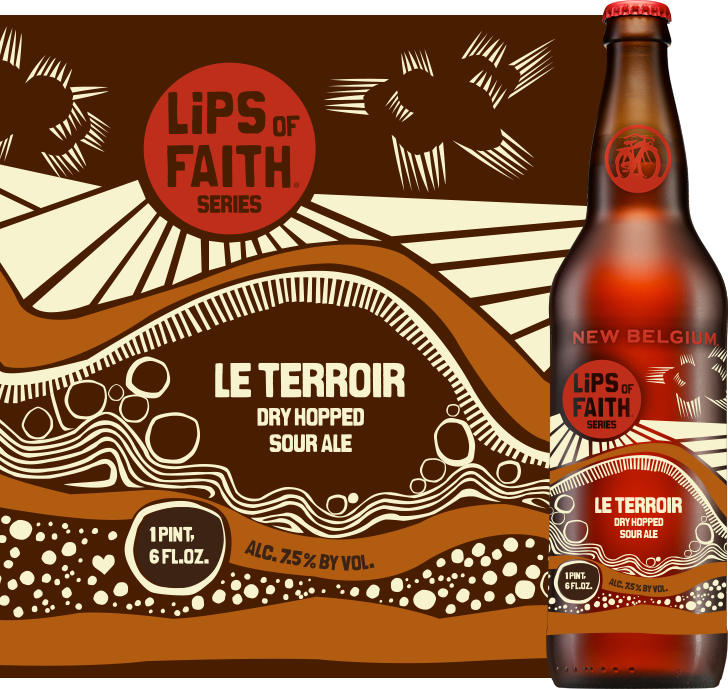 Consistent with a sour, this beer is made using wild yeast strains that cause lactic acid to accumulate, and then age it in oak barrels for three years. The end result of all this is a beer that is delightfully tart, fruity, and quite earthy. It is also wet-hopped using Amarillo and Citra varieties, resulting in a nice herbal infusion on top of the general sourness. And what is interesting is that when I came home and cracked open the bottle, the beer that came out did not appear as I expected. 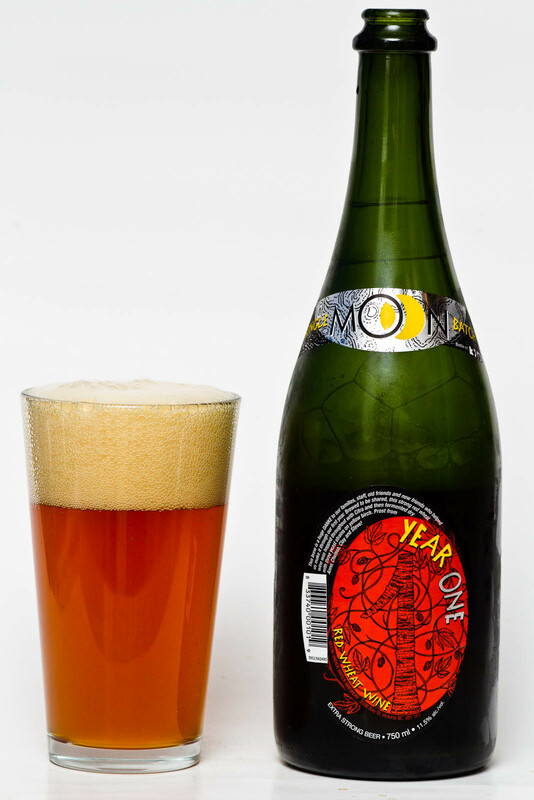 The first time I drank this little drop of heaven, it poured an opaque orange into my glass, had a rather unique malty nose and combined the flavors of a wheat with a citrusy west coast ale. And it finished quite nicely, once again combining a strong citrus finish with a hint of sourness that reminded me of a Flanders Red. This time around, some months after its initial release, the bottle I procured poured out cloudy and translucent. What’s more, the nose on it was very much like a hefeweizen, malty, yeasty, but otherwise clean. The flavor was still delightfully layered, consisting of good wheat malts, citrus, some notes of sour cherry, and a noticeable alcoholic punch. Alas, this too was slightly different from my last sampling, and the finish was much cleaner, with only trace amounts of citrus and some lingering sour flavor. Ah yes, and the sediment factor was also noticeably tamer. Last time, the beer produced some big, sticky floating masses of yeast. This time, all I found was some particulate matter in my glass, like little flecks or red sand. All in all, I’d say this beer has aged well in the last few months, which is I’ve decided to upgrade my previous rating (which was an already stellar 9.5 out of 10) to an even 10. Because of this, it is now one of the top contenders in my Best Beers for 2013 listing, which I’ll be sharing soon. Cheers folks, and here’s hoping that 2014 proves just as satisfying for all the discerning Zythophiles and Cicerones out there! As the beer class I am hoping to teach nears, I have found myself feeling a little hard pressed to secure all the styles of beer I would need to make an effective presentation. After all, how can one accurately represent the history of beer when it’s so long, diverse and varied? Sure, there’s no shortage of British-style ales, German lagers, and Belgian ales here on the west coast. But what of beers that predate the Belgian Purity Law? Lucky for me that Salt Spring Island specializing in creating beers of this kind. For awhile, I was hoarding bottles of Salt Spring Island’s Spring Fever Gruit, but as expected, they ran out. And while their Saturnalia Gruit is an equally fitting example of an ancient brew, it too suffers from seasonal availability. Lucky for me, their Heather Ale is year-round and I was able to grab a few, knowing that I could drink them and not fear that the supply would run dry. And I thought that while I was doing that, I might finally give it a review. 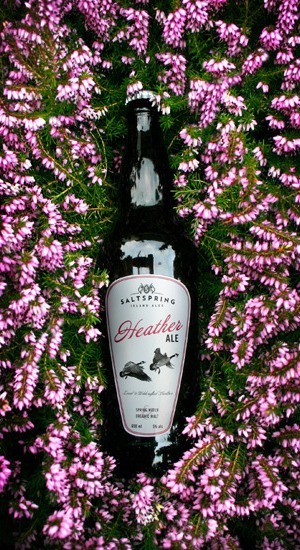 It goes without saying that Heather Ale is a renowned style of beer, one that is very popular in Scotland and abroad. It dates back to 4000 BC when it was introduced to Scotland by the Picts, and is therefore one of the most dated styles in existence. And Salt Spring Brewery, in tune with their commitment to organic brewing that’s faithful to its roots, produce a very nice and easy-drinking beer that has a subtle array of herbal notes and flavors that is very appealing, especially to people who are looking for a break from the hoppy beers the Pacific Northwest is famous for. Though I am a big fan of the hops, I have to give high credit to this beer for its clean taste, mineral-like tang, vanilla and honey like flavor and gentle aroma. I naturally couldn’t help but compare it to Fraoch, the famous heather ale by the Williams Brothers Brewery. And honestly, I feel this one gives it a good run for its money. I hope those who attend my beer class can appreciate it too! It has taken me some time, but I appear to be closing in on my goal of trying every single beer the Townsite brewery has yet produced. It hasn’t been easy keeping up with them, thanks to their prolific nature and the fact that they only recently started distributing to the island. But I still consider it a lucky break that I finally managed to secure a bottle of this seasonal beer before winter officially ended and it would no longer be available. 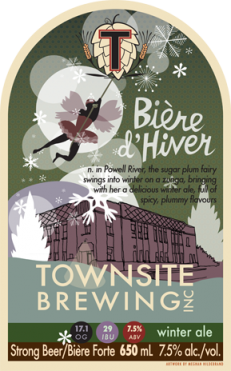 Another beer that was inspired by local legend, the Biere D’Hiver is another Belgian-style brew that is dark, yeasty, has a sugar and dark fruit malt taste, and is spiced with coriander, star anise & brewmaster’s own hand-made Candi Sugar. The end result is something that seems like a cross between a winter warmer, an extra strong Belgian brown, and a spiced Wit. And of course, it has some serious strength (7.5% alc/vol). Between this and their Shiny Penny Belgian IPA (another winner! ), and this latest installment, I am now just two beers away from sampling everything Townsite has ever produced. That would include their Perfect Storm Oatmeal Stout and their Time Warp Wet Hopped Pale Ale. My kudos to Cédric for his endlessly inventive spirit! Beer season has been slowing down a bit in recent days, thanks to the holidays being complete and the need to get back to work. But luckily, there is still time to shop for new brews and seasonal releases which are arriving just in time to toast the ending of winter and the coming of spring. And today, I happened to find a bottle of something left over from last summer, a beer which I enjoyed at the time, but neglected to review. So in this post-holiday lull, I thought I would give it sampling and follow through with a proper review. It’s known as Radiant Pale Ale, a summer seasonal produced by the Ninkasi Brewery out of Eugene, Oregon. As far as Pacific Northwestern breweries go, this is one of my favorites. There flagship lineup of beers is tough to beat, consisting of a wide array of American Pale and India Pale Ales, as well as a good smattering of other British, European and American styles. In this case, I found the Radiant to be a well balanced customer, consisting of a good combination of Crystal, Vienna and Northwest hops, as well as a smooth array of pale malt. One can instantly taste the summery influence of the beer, being just light enough to be refreshing, but with a dry, bitter finish that is appetizing and sure to slake a heat-induced thirst! I can recall sampling this beer alongside another seasonal release last summer. It was their Maiden the Shade IPA, another beer I failed to review at the time. What was I thinking? Guess I’ll just have to wait another six months before I can that one it’s due as well, huh?